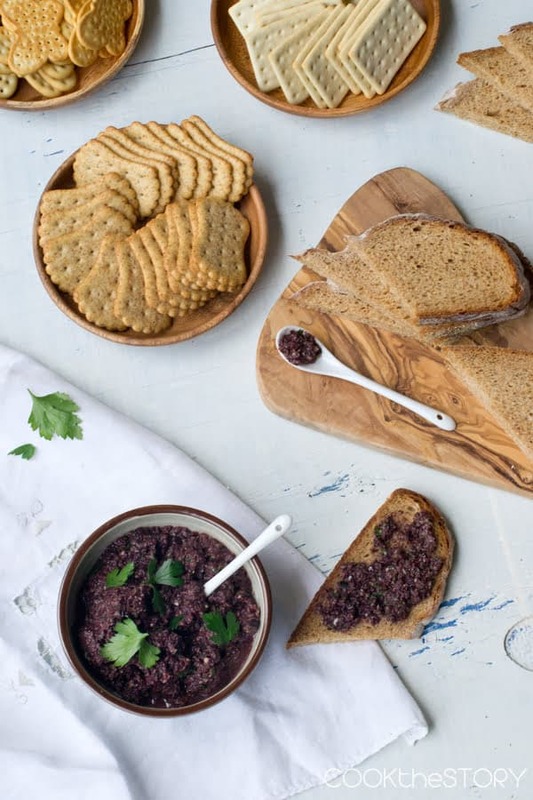 This tapenade recipe is made with kalamata olives, capers, parsley, lemon and garlic. You’ll be amazed at how quick it is to make. Eat it as a dip or use it to flavor other dishes. If I open the fridge hoping to find a snack, olives are the first things I reach for. Well, maybe cheese is first. And maybe pickles are second. But olives are a strong third. I really do love them and would cook with them all the time. Except, my husband doesn’t like them at all (strangely enough, both of my kids love them. Go figure). One way that I get around Graz’s dislike for olives is to regularly make tapenade. Tapenade is a purée of olives, with some other delicious ingredients, originating from the Provencal region of France. It keeps in the fridge for a long time. So once it’s made, if I’m craving a bit of olive with dinner, I can scoop a teaspoon of it on top of my serving and not tarnish my husband’s supper. It’s great on spaghetti, grilled fish, chicken and also dolloped into soups and spread on sandwiches. 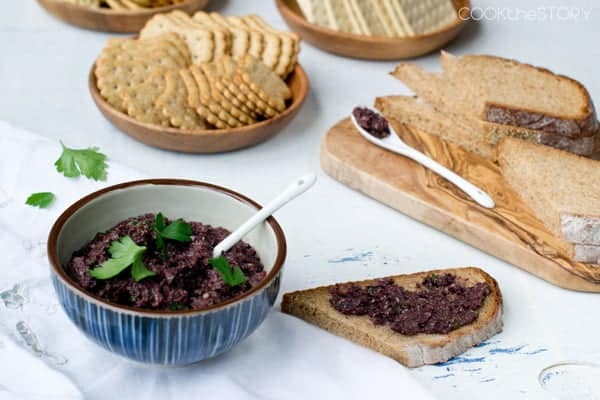 This tapenade recipe is made from Kalamata olives, parsley, capers, garlic and lemon juice. It takes about three minutes to make. And then you have it on hand to add to your favorite dishes or you can use it as a dip or spread for an appetizer. 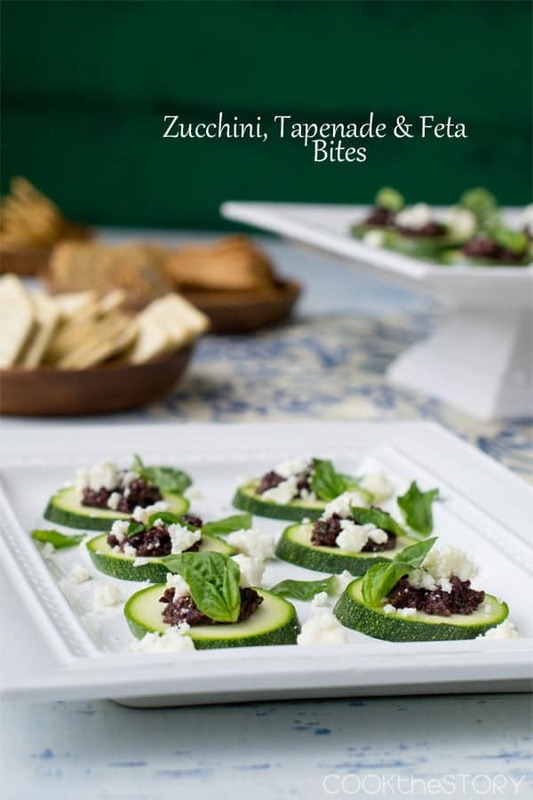 Check out these tasty Zucchini, Tapenade and Feta Cheese Bites. They’re a perfect summery use for this tapenade. And here are 10 more ways to use tapenade from Strawberry Plum. Puree until everything is in tiny bits. Transfer to a bowl, eat and enjoy! So great and simple! A quick, easy, delicious starter. I love making my own dips and spreads. 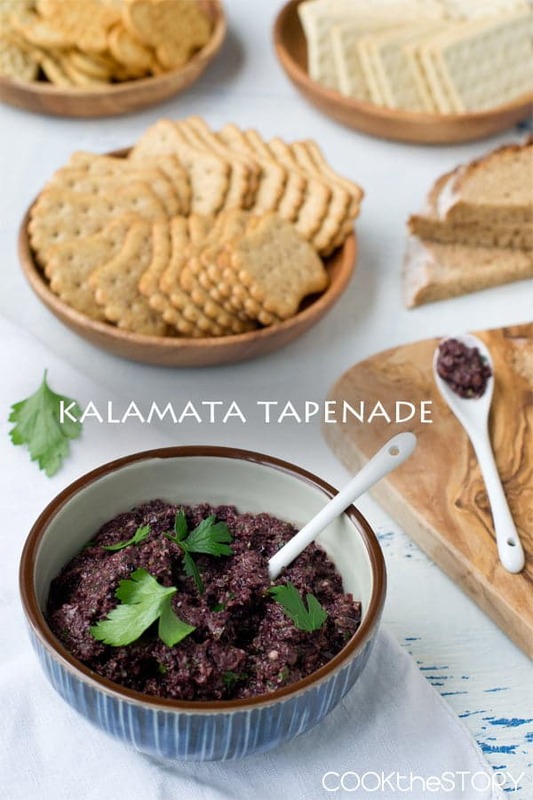 I’ve never made kalamata tapenade, this is the perfect recipe to try – it sounds soo good. This would be awesome to put out at a party, especially a wine tasting party. I would love to try it on some chicken. I love tapenade! 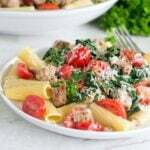 Great choice to make it with Kalamata olives. 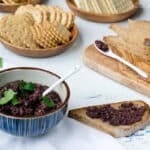 I love Kalamata olives and I am sure this tapenade would go perfectly with fried pitas! We’re snack twins, Christine! ;) I reach for the very same things. 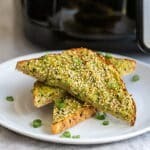 This looks like such a perfect little snack or appetizer to throw together quickly for last minute company or just for yourself! This sounds amazing. I am a huge olive fan; never met an olive I didn’t love! 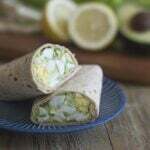 Love easy recipes like this Christine – perfect for last minute guests or a quick snack!